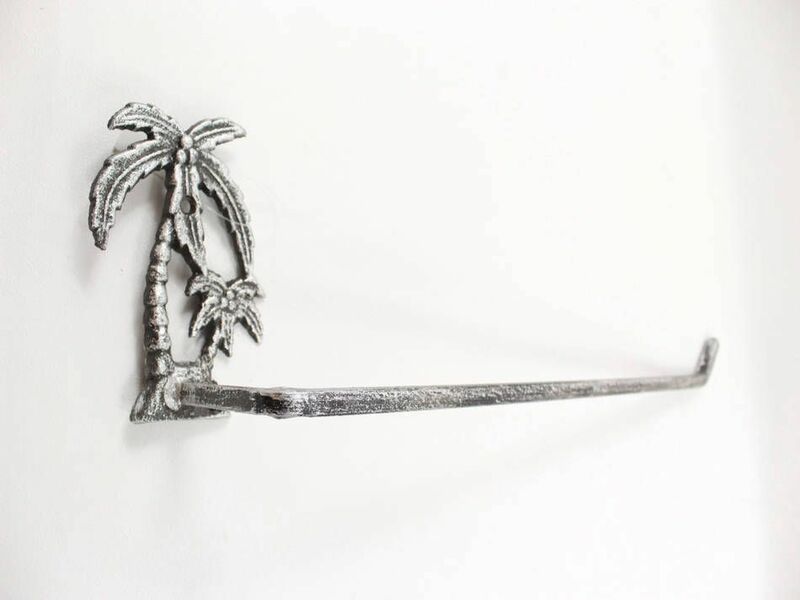 Rustic Silver Cast Iron Palm Tree Wall Mounted Paper Towel Holder 17"
This Rustic Silver Cast Iron Palm Tree Wall Mounted Paper Towel Holder 17" is the perfect addition to any beach inspired kitchen. 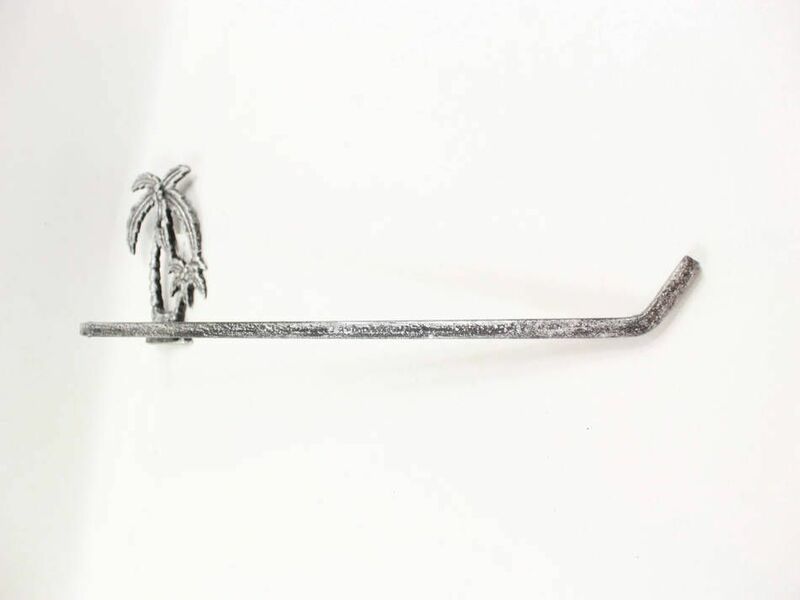 Handcrafted from cast iron by our master artisans, this durable paper towel can hold any standard roll of paper towels while adding a touch of beach decor to any room. Easily mountable, this beautiful paper towel holder can be place on any wall in your kitchen or bathroom with ease. 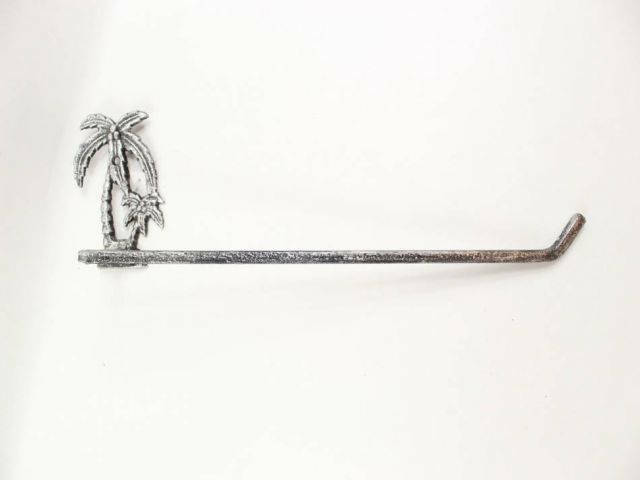 Add a touch of rustic decor to any room with this cast iron wall mounted paper towel holder and show your visitors your affinity for the beach lifestyle.